Process is central to my photographs. Both the form and content of my pieces focus on thoughtful attentiveness to light and shadow, traces and transparency, space and material. My work is fueled by the physicality of historic photographic methods and leads me to draw from alternative processes and materials. This practice draws me to the edges of what constitutes an image and a photograph. It is the boundaries and liminal spaces filled with flux, fragility and contradiction that are at the center of my artistic exploration. 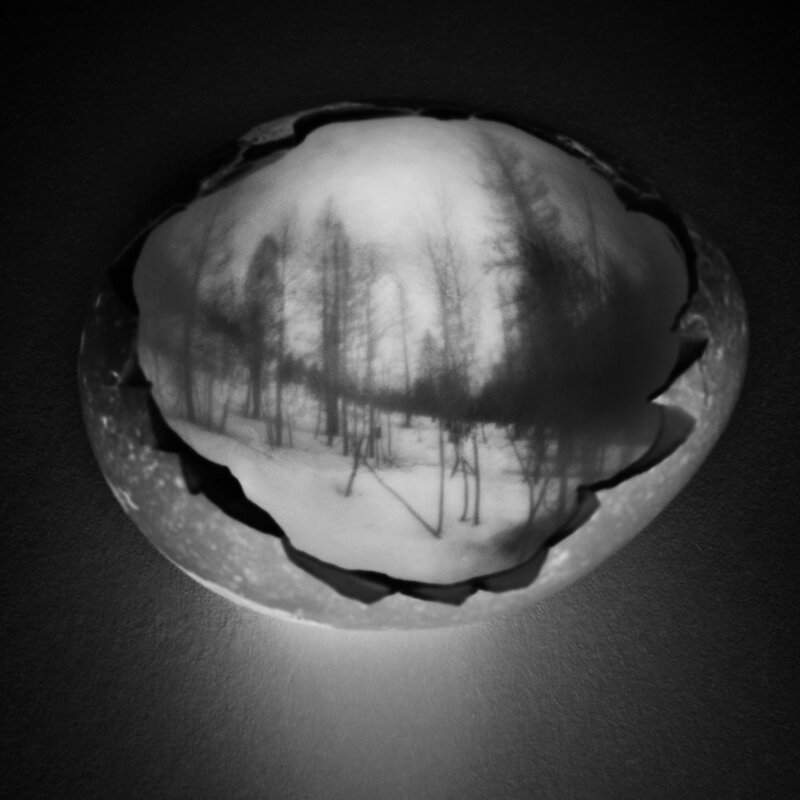 This body of work was inspired by the process of using eggshells to create obscured photographs of intimate landscapes. 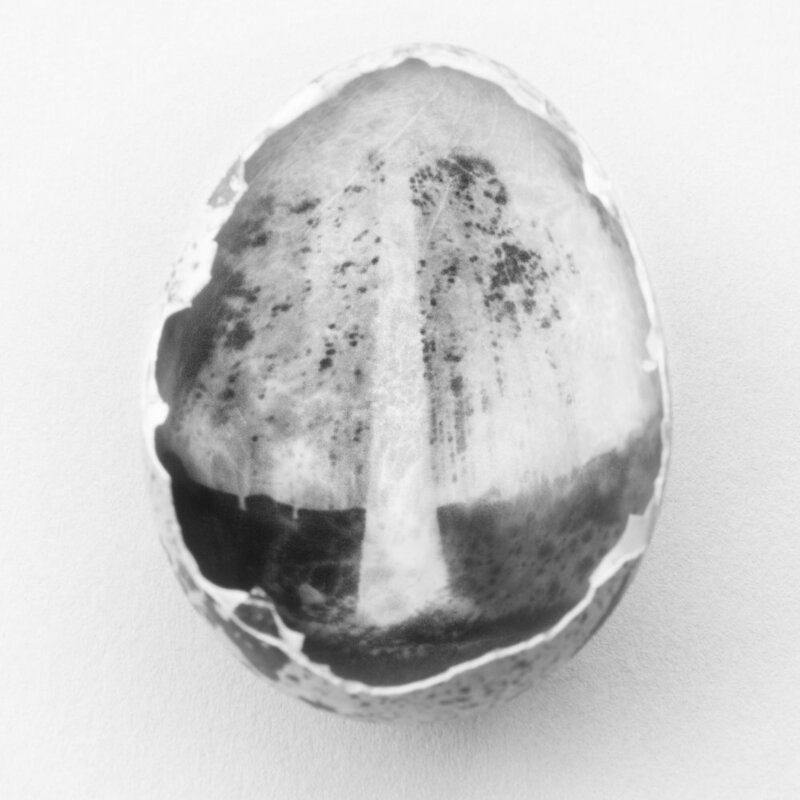 Hollowed eggs become pinhole cameras, broken open to reveal tiny photographs on the fragments. 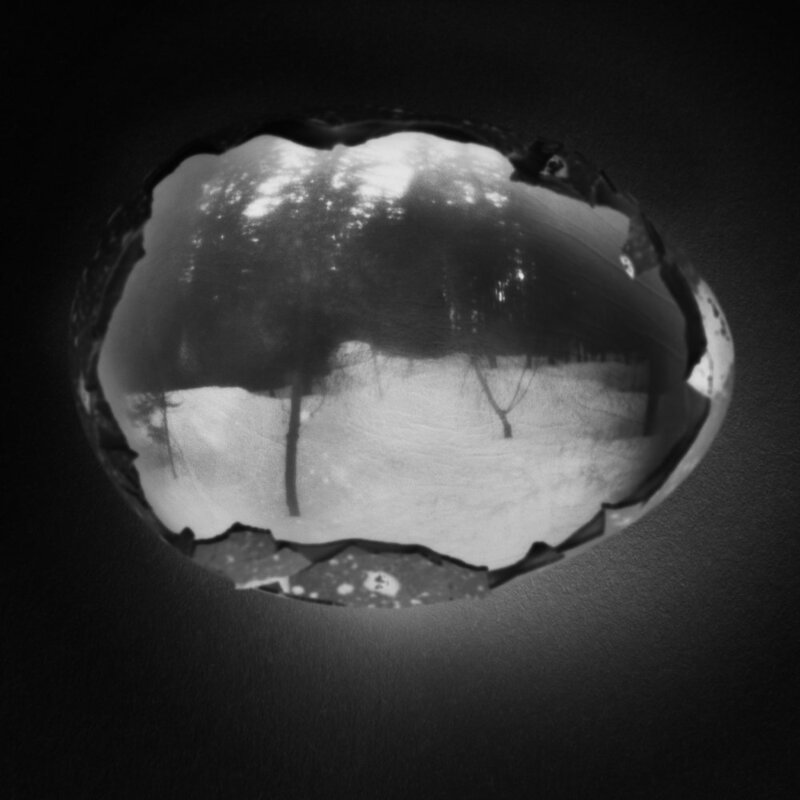 It is a process filled with uncertainty, made by light entering in and leaving a trace in this internal and transitional space – a hollow chamber of vitality in which light breaks in and breaks open. This method took on particular shape and meaning as I made these photographs in the Railroad Creek Valley in the Cascade Range, a valley that burned in the Wolverine Creek Forest Fire eight months before I made these photographs. 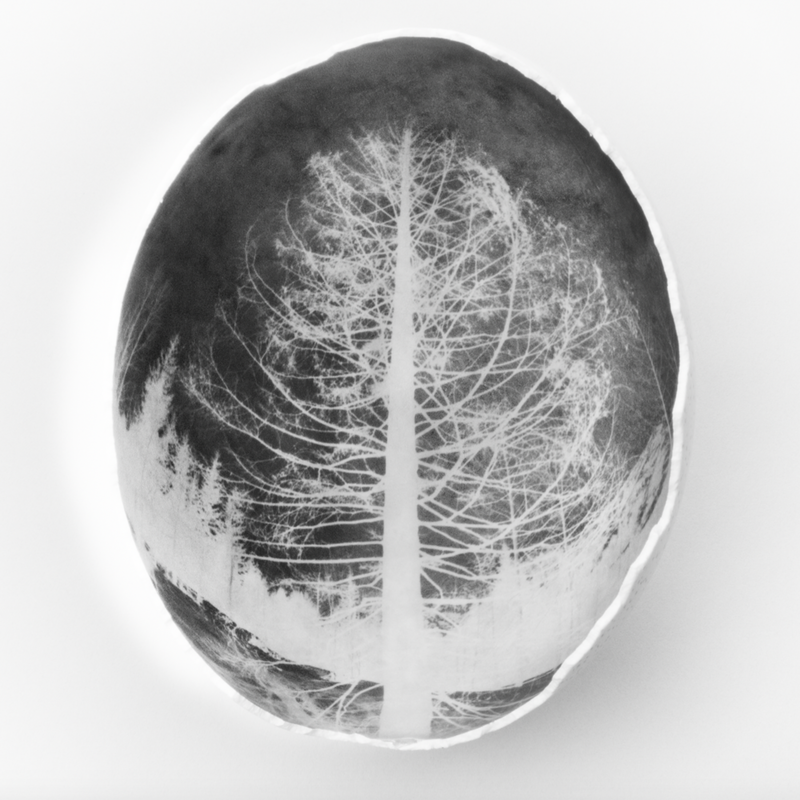 The images speak from the perspective of the forest about the cycles and seasons of the land and about its relationship with humanity: at its best marked by respect and rhythm, and at its worst fraught by extraction and control. Seen yet unseen, obscured by snow and ash, I cradle this fragile beauty in empty hollow spaces. 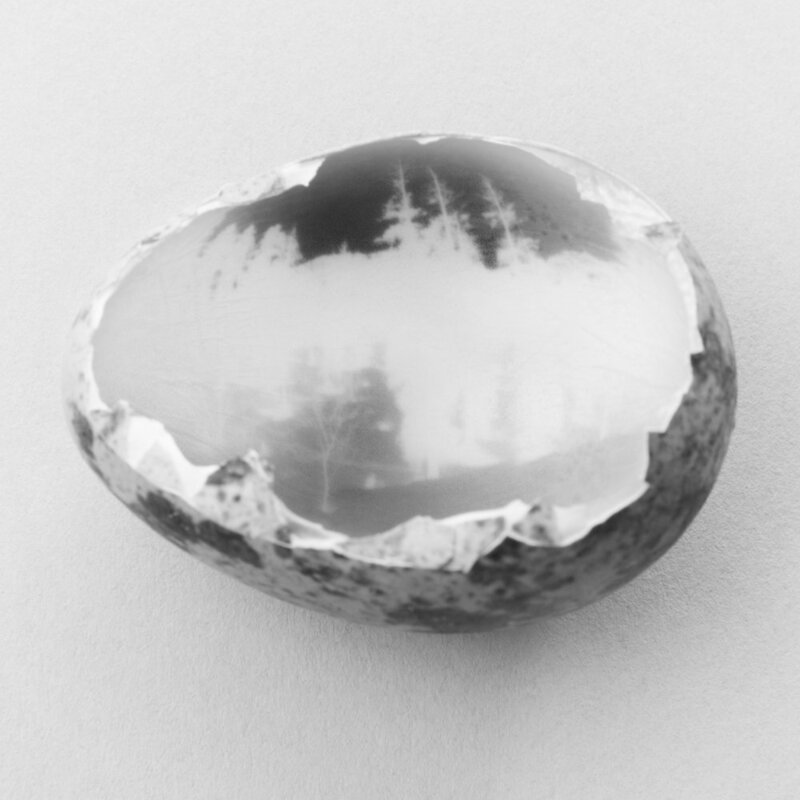 The etching of light leaves ash-like traces, a sliver of a moment held within the embrace of en eggshell. An invitation of light, a willingness to be broken open, a call to wander in the woods, to listen to the story of place, to lament the suffering of our planet, to find beauty in ash, and to embrace transformation. This work was supported by a wide circle of dear friends, communities, and fellow artists. A special thanks to Holden Village, Sheila Novak, Laura Bretheim, Will Chiles, Chuck Hoffman, Peg Carlson-Hoffman, Jess Markusen, George Lowe, Chrissy Post, Robbie Greico, Mark and Nancy Rerucha Borges, Bob Hulteen, Peter Bauck, Greg and Rose Bouvier, Hugo and Agnes Wolf, and the Minneapolis Photo Center. I am filled with gratitude.